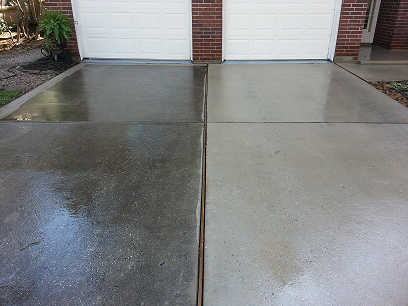 Get your driveway looking bright and new again with Florence, SC driveway cleaning services by Clean Finish Pressure Washing. Clean Finish is Florence’s leading provider of power washing services, including driveway cleaning, and would love to help you restore your driveway to its original look. We use a variety of equipment, including our high pressure, automatic surface cleaner and powerful degreasers, to remove all surface dirt, mold, algae, and stains from your driveway. Besides driveways, we also clean a variety of other hard surfaces, including porches, patios, sidewalks, walkways, and more, as well as our offered house washing and commercial pressure washing services. As a professional company with professional equipment, you can expect nothing but the best when you work with us. We guarantee you will be completely satisfied with your cleaning or your money back, guaranteed! Give us a call now to get an estimate on your next Florence driveway cleaning. Call 803-229-2732 or email us at info@clean-finish.com.